Anyone who likes fantasy MUST read these books! In a society where all the citizens are able to harness the magical powers of elemental furies, Tavi is mysteriously without his ability--which means he has to use his wits instead! This series is action-fantasy at its very best, with lots of cool special effects and a group of central characters you'll really care about...plus a great sense of humor. 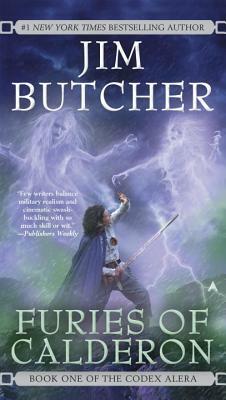 Read the books in order--Butcher (thankfully) avoids cliffhanger endings, but his gradual revelations of his characters' hidden pasts are a real highlight of the series.